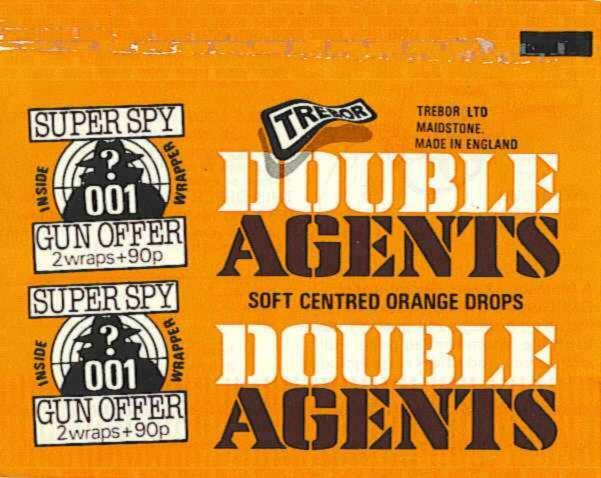 The Super Spy Gun was the second offer from Double Agents. A lever above the handle released the revolving chamber which swung downwards. This allowed the insertion of a 12-cap ring. 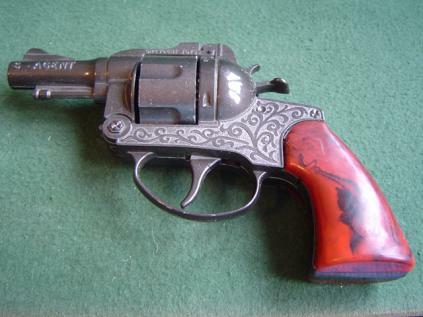 The gun said "S-Agent" along its barrel. 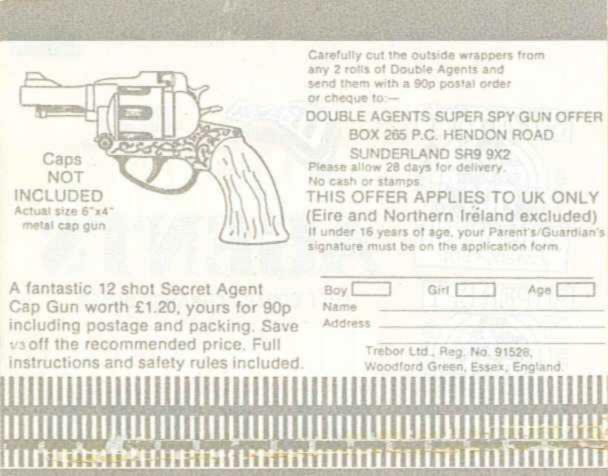 The Gun was accompanied by instructions (blank on the reverse). 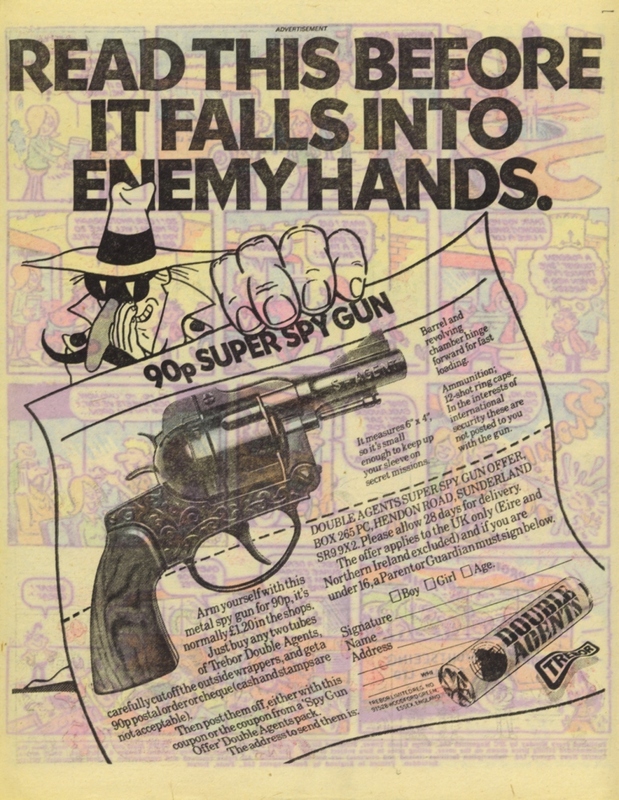 The Super Spy Gun was advertised in comics in November 1978. 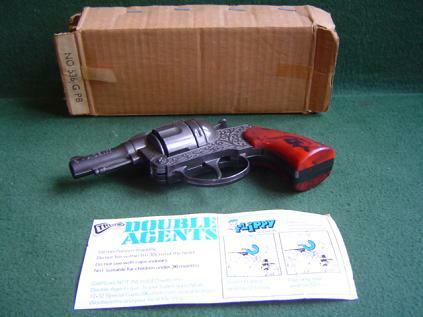 This is the box in which the gun was delivered.